Wasn’t that interesting? 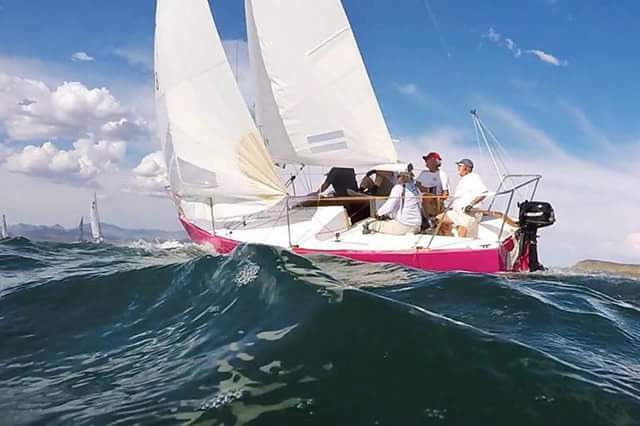 Saturday’s racing began with drifting and the race committee was setting up to shorten course on the first race of the day when suddenly the breeze surged in from the north, blasting down the lake at about 20 mph. Yikes. The scores from this weekend of racing at Lake Pleasant are posted on the results page, or you can find them by clicking here. An RC error means that the second multi-hull race Saturday is still being sorted out. 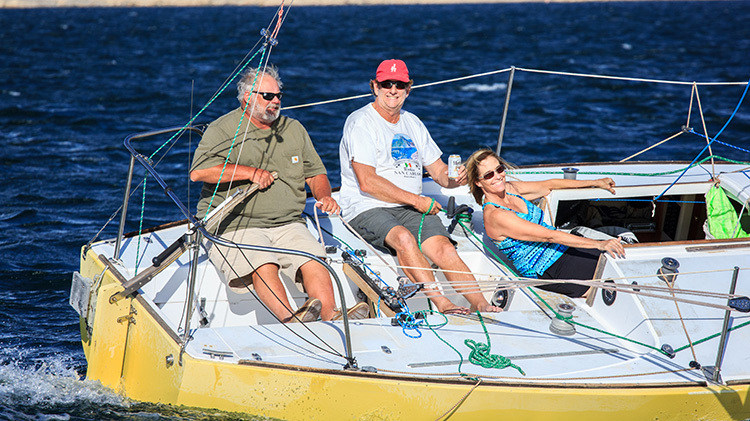 Bruce Andress and company in Victor Felice’s J/24 as the wind filled and the waves rose. 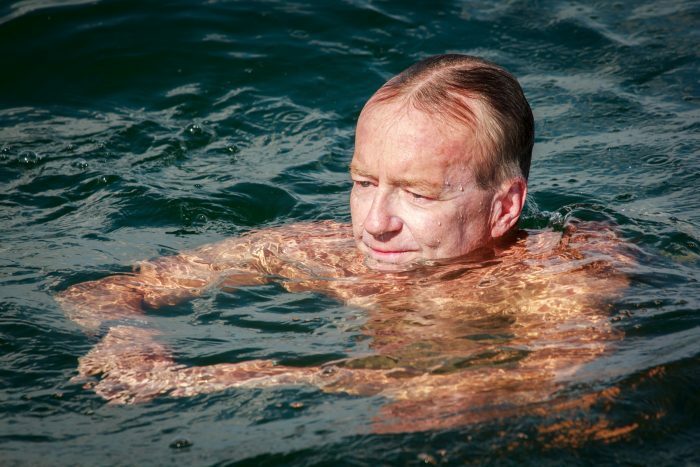 This shot is by Chris Smith at water level with his GoPro.